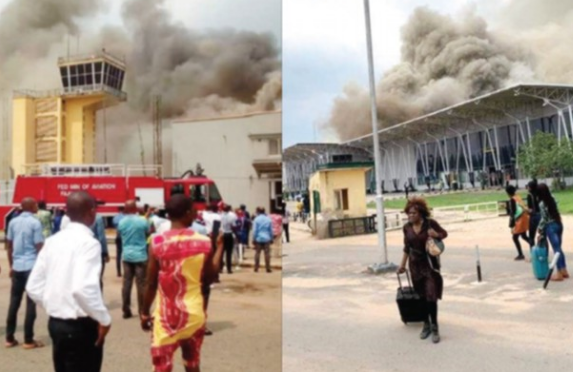 There was panic on Monday as fire gutted the arrival section of the Sam Mbakwe International Cargo Airport in Owerri, the Imo State capital. The cause of the inferno was not immediately known, but a source at the airport said there was an ongoing renovation of the arrival area, which was razed. It gathered that the inferno, which raged for about 50 minutes, started around 2.10pm. It took the spirited efforts from men of the fire service and airport workers to extinguish the fire. A source said, “It was a mysterious fire outbreak. It happened at the arrival section of the airport, where the Federal Airports Authority of Nigeria is carrying out renovation work.